Who’s Going to Create a Better Narrative of Old Age in America? “Beep, Beep, Beep”, my alarm clock blares, and I roll out of an indistinguishable hotel bed — sheets white, pillows varying levels of fluffy, and traces of bleach linger in my nostrils. I exit my room, look left and right. Last week, I met a woman and her dog walking along a nature trail. As dog lovers do, we started to talk. She said she and her dog walk the two-mile nature trail daily. 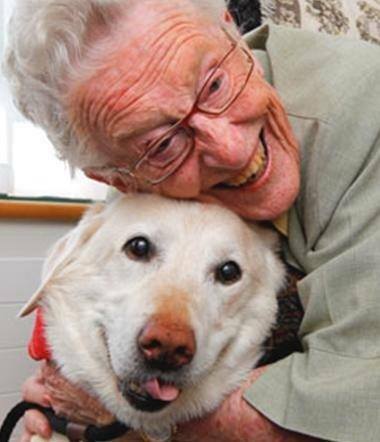 Recently, she had tried to adopt a second senior dog, to keep her 8-year-old dog company. Many of you reading this have likely realized some time ago that you are an Elder. Silly as it sounds, this just occurred to me recently. In all of my teaching and advocating I continued to think of Elders as those I must serve and protect, those who may lack a voice to speak out against the three plagues of loneliness, helplessness and boredom. In 2014, the LeadingAge Leadership Academy curriculum for the first time included a small group learning project to identify and study a gap or issue in aging services. Living with dementia is about changing abilities, not necessarily growing older. You can be a younger adult and still live with dementia. It’s true that, statistically speaking, a large number of people living with dementia are older people. But to compartmentalize the experience of dementia as an aging issue alone is a very bad habit on the part of society. Daily Aging: What do you like best about nursing homes? Hey you out there, don’t you dare turn off the screen! Hear me out. I am going to tell you what I like about living in a nursing home. When you hear the words nursing home you often think of these words: smell, afraid, lonely, hospital, institution, senile, bad food, abuse, abandonment…..have I missed anything?